How to Pick Quality Android Phone Case? You got the perfect Android Device for you with a very nice specs like a high Megapixel camera, good clocking processor, a perfect screen size that fits nicely on your hands and a sassy look. Mobile phones have been a necessity nowadays, with your mobile phone you can connect to the world. But how are you going to protect your high tech gadgets from accidents? Mobile accessories are as important as your mobile phone they will help you protect your devices from accidental scratches, bumps, fall and sometimes water spills. There are different kinds of Android cases it can be a flip cover, jelly case or hard shelled cover. 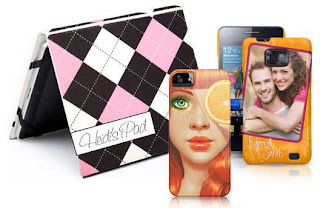 Made from different materials android phone cases can come from plastics, rubber or leather. Cases of android phones can also come in either plain colored or printed designs like Captain America, Ironman, Wonder Woman or even Hello Kitty. There are also customized phone cases on which you can choose what kind of print you would like for your devices. There are lot's of incredible cases for your Android Phones out there, but the question is what to choose? First in order to choose a case for your mobile, you need to know your life style. Hard cases are for people who's often on the go and tuck the phone on their pockets most of the time, for hard cases can keep your android phone squeezed on your pocket. while leather cases look more formal and stylish. Leather cases are also good in protecting your android phone from water spills. while jelly cases are colorful and good against scratches and bumps for it will absorb shock more efficiently. Crystal Screen protectors are also good at adding protection against screen scratches. Most android device have a built-in anti scratch screens, but it's still good to have crystal screen protectors just to be sure. Where to buy Android phone cases and Screen Protectors? There are lots of online store on which you can choose to buy quality screen protectors and cases for android phones. Online store like Amazon can give you a wide variety of phone cases to choose from. there are lots of incredible and cool cases available at Amazon, www.Zazzle.com other online stores. When choosing android phone cases you should consider your budget there are cheap and bundled deals over the net you can choose from. To check the quality of these cases try to read testimonials of the one who bought it or ask on forums.